Here it is! The March Challenge! This month we’ll start every day with 5 minutes of cardio to get our hearts pumping, then progressions on arms, core, legs & glutes. Enjoy! 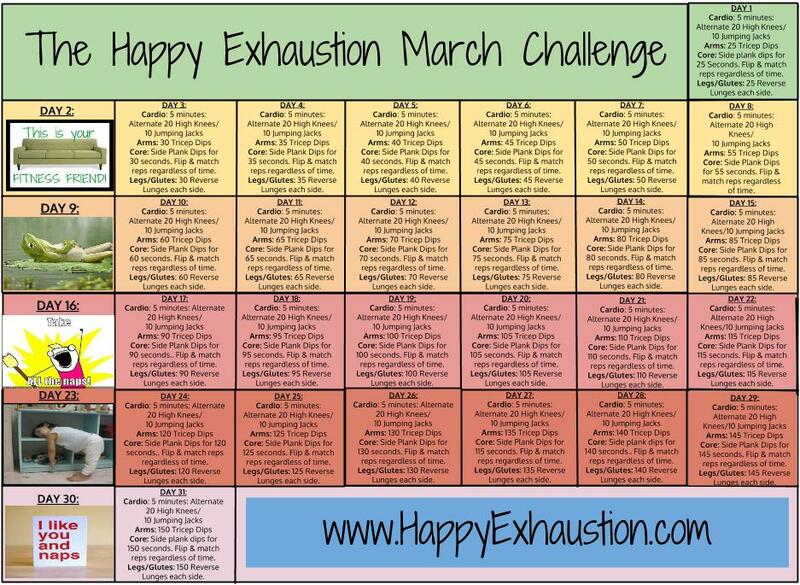 And don’t forget to join us on the Happy Exhaustion Facebook page, where I will be posting the daily workouts every day. Let us cheer you on!